Sir Martin Sorrell, the chief executive of WPP, has defended his £63 million share-linked remuneration package, saying: "I passionately believe this is the way to do it." Sorrell spoke about his pay during an interview with the journalist Ian King at Advertising Week Europe in London today. It followed last week’s news that 60 per cent of BP’s shareholders voted against the chief executive Bob Dudley’s £14 million pay. 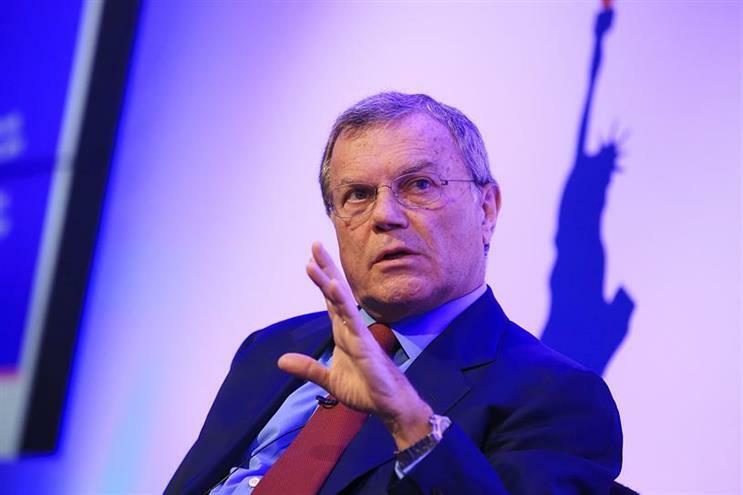 When asked whether he himself was paid too much, Sorrell said: "It’s philosophical. "I was 40 years old and was chief financial officer of Saatchi & Saatchi, where the Saatchi brothers were letting me do pretty much whatever I wanted to do. "So I borrowed some money against my Saatchi & Saatchi stock, invested [in 1985] in a company called Wire & Plastic Products… which was capitalised at £1 million. "Maybe because I’d gone to HBS [Harvard Business School] and spent two years looking through case studies of what the chairman or chief executives should do and why, I’ve always tried to do things on scale. "I’ve not been interested in starting something and then flogging it. I’ve been interested in starting something small and then building it into something big. I've always been interested in opportunities and problems in scale. "I invested what was a lot of money for me and bought 16 per cent (my partner got 13-14 per cent) and the rest is history. Today, the company is worth £21 billion... But I have taken a significant degree of risk over those 30 years. I have built up a substantial stake in the company... it’s 2 per cent and it's worth – if you do the maths – a considerable amount of money and it's where most my wealth is. This is an entrepreneurial endeavour. "This in my view... is different and I passionately believe that this is the way to do it. I’m not a johnny-come-lately picking a company up and turning it around. It's been 31 years and it has offended all the investment wisdom. "I can’t comment on other situations... In the last five-year iteration, our share price has gone from 665p to 1,645p. If there’s a problem, then it’s a problem that market capitalisation of the company has grown from £8 billion to £31 billion."